The current weather is not looking that great this weekend but here are a small number of occasions to brighten up the weekend you might want to try, the first one is to take a visit to the National Portrait Gallery. Last December I had a day surprisingly up, and so I chose to spend it at my favourite large art gallery near Trafalgar Square. Not the grand one with the pillars, the National Gallery, but the one around the corner on Charing Cross Road, over the road from Pret, the National Portrait Gallery. As you move through the set arranged chronologically, you move forward in time. “Tudor Court Life and Literature” sits Shakespeare and Donne next to each other, looking all cryptic and poetic, opposite Thomas Cromwell of Wolf Hall notoriety, everyone’s favourite accountant. “Royalty and Faith in the early 18th century” comprises not merely big portraits of the monarchs, King George I and II and Queen Caroline of Ansbach, but also of Ayuba Suleiman Diallo, the Senegalese Muslim whose portrait is the earliest known of a freed slave in Britain, and Flora Macdonald, the Scottish Catholic Jacobite rebel who helped Bonnie Prince Charlie to security. In other words, it sets the royals next to examples of the types of individuals affected by enlarging British imperialism. It is possible to catch the small-scale displays by the photographer Michael Peto with 10 of his photographs from the 1960’s including ones of Nelson Mandela, Richard Burton and Paul McCartney. Then after you have seen that, head over to room 40 in the gallery and 12 pale sketches can be seen by you by the only Bob Dylan. The other event is just on Saturday at the Southbank Centre and sounds really intriguing, especially in the event you enjoy automobiles, it is being called a vintage car boot sale with classic cars on show and vintage items available with live music and DJ’s playing music having a 1950’s feel, it merely costs GBP3 but for some reason there’s no start time on their website so best get there for noon to be sure it is began. The South Bank of the River Thames earned its reputation as an amusement district back in the Middle Ages when, because it fell outside of official city limits, Londoners used to swarm here through the night to savor unlicensed theater performances, along with more ribald activities such as prostitution and bear-baiting. It definitely has not lost its standing as a thriving hub of cultural activity though the place is a whole lot more tasteful these days. 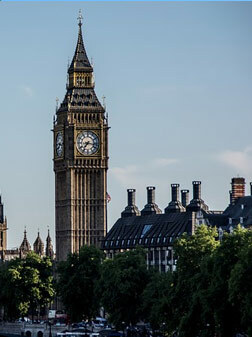 Its prime location across the river means that very few individuals can actually afford to live on the South Bank, rather the area is lined with national treasures like: Shakespeare’s Globe Theatre, the National Theatre and the London Eye. This enviable combination of top and centrality attractions inevitably draws in the crowds. Hordes of tourists and locals alike visit the place everyday see plays, to see gallery spaces, drink, dine, or simply stroll beside the river and take in views of the city.